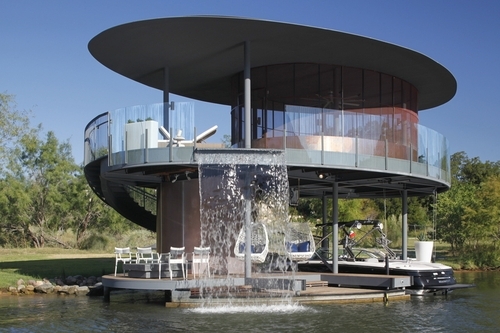 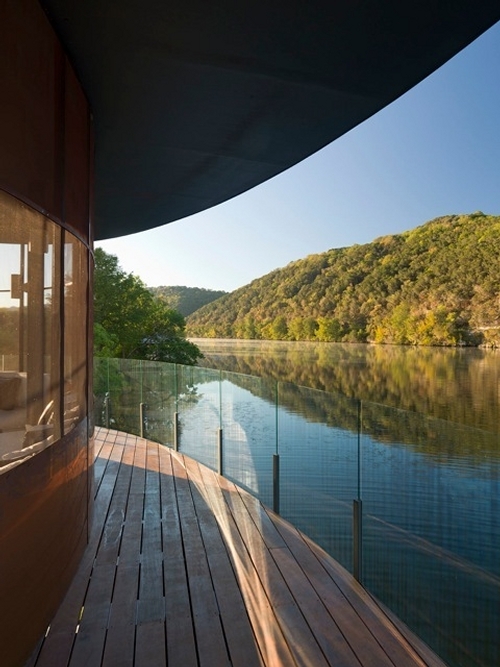 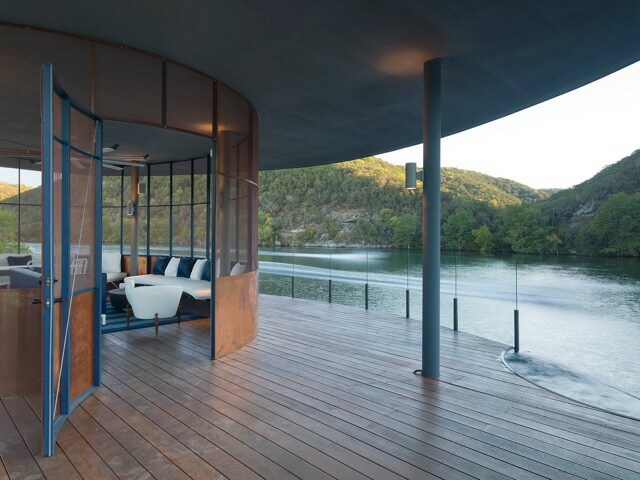 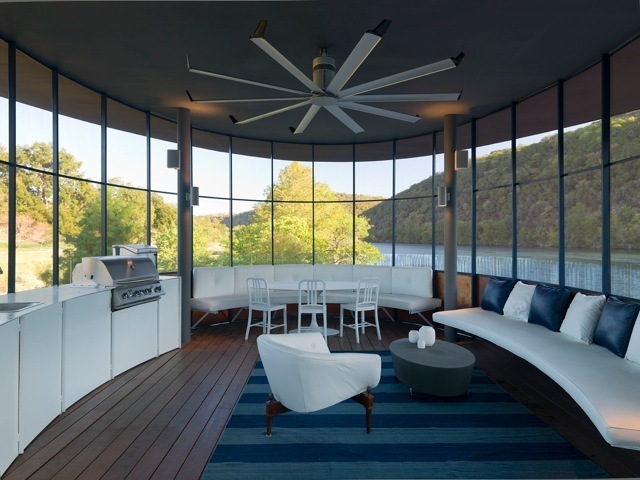 This beautiful Houseboat is moored on a bend in Lake Austin across from Canyonland Nature Preserve. 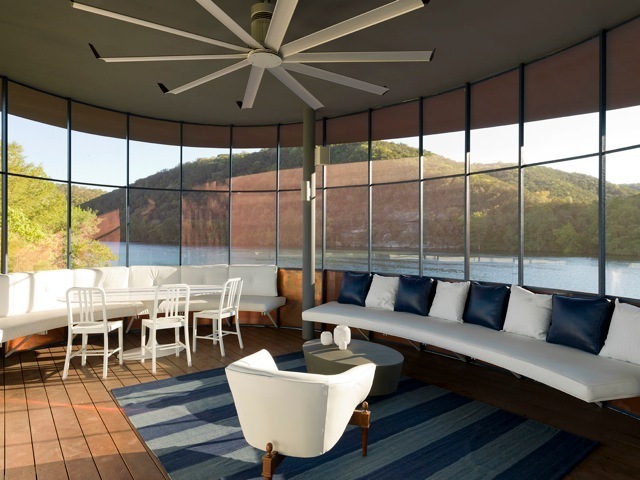 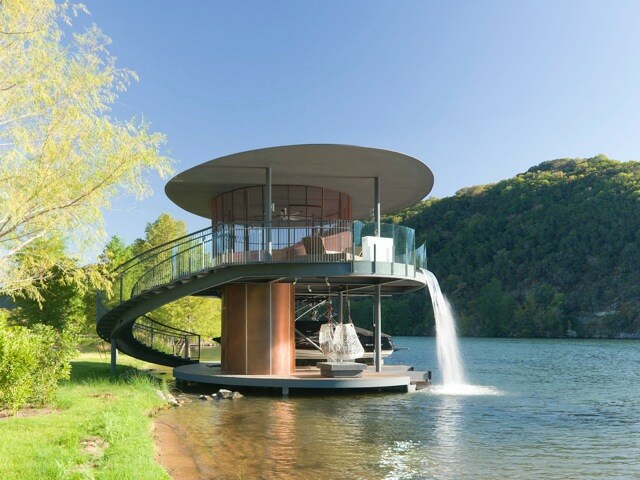 It was designed by Bercy Chen Studio LP with an elliptical shape, so that the visitors could have a 360 degree view of the beautiful surroundings. 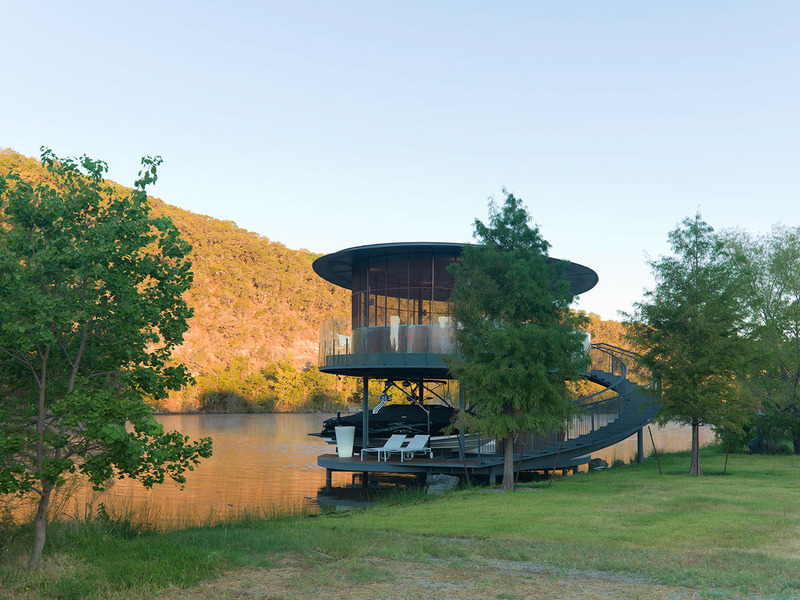 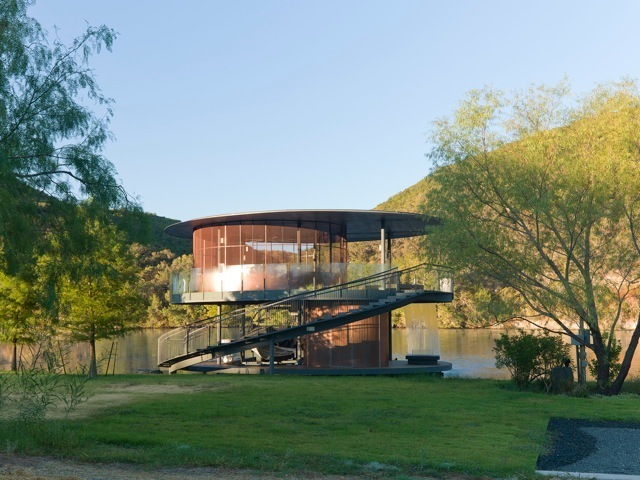 The Houseboat is accessed using stepping stones and once aboard you can use the impressive wrap around spiral staircase that takes you to the upper floor.